Is Holistic Dentistry Right for Me? Currently a hot topic of debate among dental and health professionals, holistic dentistry has gained popularity in recent years, alongside the movement toward naturopathic medicine. Dr. Miller at Discovery Dental wants Shelby residents to understand the differences between the two approaches to dentistry, in order to make the most informed decision when choosing a dental health professional. Holistic dentistry is an approach to dental care that focuses on promoting overall health and wellness, rather than the treatment of specific disease. This practice places dental problems in the context of health issues elsewhere in the body, analyzing the patient’s entire physical, emotional, and even spiritual health. Holistic dentistry is heavily focused on the importance of the body’s chemical balance, and discredits traditional dental professionals and procedures for disrupting this balance through the use of mercury fillings, root canals, and fluoride. These are a few distinct differences in practice and treatment of dental health issues you should be aware of before deciding if a traditional or holistic approach is right for you. 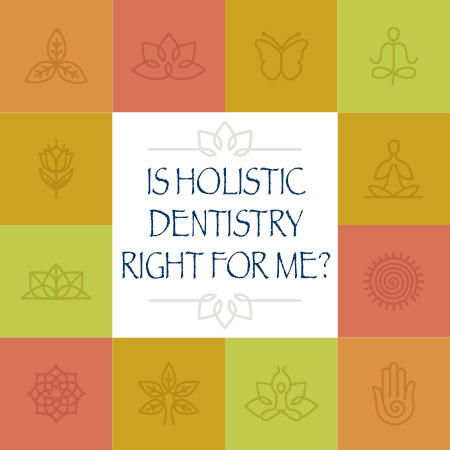 How do I know if Holistic Dentistry is right for me? Because the differences are largely philosophical, or grounded in personal beliefs, it is important that you do your research before deciding on a dental health professional. A second, even third opinion is always helpful when making important decisions regarding your health. That’s why Dr. Miller at Discovery Dental is here to answer any questions you might have about traditional versus holistic dentistry, and which option is best for your needs. Whether you chose a traditional or holistic approach to dentistry, know that Dr. Miller always recommends regular checkups every 6 months, regular brushing and flossing at least twice a day, a balanced diet, and regular exercise to maintain the healthiest you possible. If you have any questions, or to schedule an appointment, please don’t hesitate to give us a call at 419-342-4217 or stop by our Shelby office today.